The Ministry is the flag-bearer of the country to the world. Its basic function is to conduct Uganda's foreign relations and commercial diplomacy in order to promote an international environment, which supports the country's security and development needs. 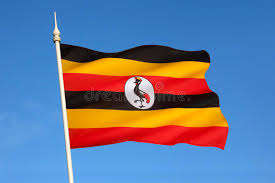 In promoting and deepening linkages and mutually beneficial interdependencies with the rest of the world, Uganda focuses on the immediate neighborhood by promoting regional cooperation and integration, peace and security in Eastern Africa and the extended neighbourhood of the Great Lakes Region and the Africa Union. Uganda also pursues a multi-pronged policy of promoting bilateral and multilateral ties with friendly countries and partners in Asia, Europe and the Americas, based on a domestic consensus and designed to serve the national interest. The commitment to regional cooperation and integration, regional and international peace and security as well as promoting the cause of balance and multi-polarity constitute the essential elements of Uganda's Foreign Policy.